When it comes to the resistance and quality of security products on the market, the questions we are most often asked by readers are: “What are the features that distinguish your products? 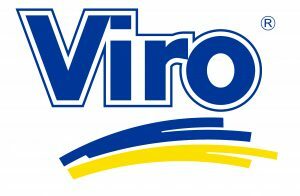 Why prefer Viro to a cheaper product?”. Once again, we will answer by showing you the results of some resistance tests carried out on our products and on their imitations of padlocks with chains, which are typical anti-theft devices for bicycles and mopeds. In previous blogs we gave some evaluations following cutting and impact tests performed on the Viro Morso product and on a copy, which had both already been subjected to 40 hours in salt spray. In the last blog dedicated to the comparison between Viro products and respective imitations, we saw how only the original Viro Morso and Supermorso products passed the salt spray resistance test with flying colours. Today we are completing the comparative analysis by showing that the original Viro possesses all the technical features so as not to fear the strength tests, carried out in the laboratory. The same cannot be said of the imported product. We can see, in the following video, how the Supermorso and its copy imported from the Far East react to the cutting and impact tests. The first video shows how the chain of the Viro product, which is tempered and hardened, withstands well the cutting attempts with a hacksaw. The chain of the copy imported from the Far East, made of simple iron and not heat treated, does not react equally as well. In this latest video, both the chains, after the cutting test, are perfectly visible in detail: the first, the original Viro, is intact, whilst the second is cut. This test concerns the resistance of the padlocks themselves, that is, of the Viro Supermorso and the imitation product. Lets see how both the padlocks react, inserted in a tool which reproduces the blows delivered from a height of 1 m, from the top downwards, with a weight of 3.05 kg as if it were being attacked with a hammer in an attempt to break the joint between the lock-bolt of the padlock and the chain. After this test we can see that the Viro product only suffers damage to the outer nylon cover, which will not affect at all the operation of the padlock itself. On the other hand, after only 2 strikes the imitation padlock is damaged, which adversely affects the operation, and after 5 strikes it is completely open. Photo: comparison after impact resistance test. Once again we can say that the Viro products, thanks to the selection of more resistant materials and high-quality chemical and thermal treatments, offer a much greater strength and durability, compared to the cheap imitations available on the market. This entry was posted in Padlocks and tagged products, security, technology on 6 September 2016 by calessandrini.